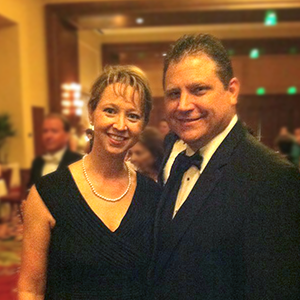 With thirty years’ experience helping San Antonio homeowners enjoy their pools and spas, John and Melanie Rutkoski founded 365 Pool & Spa with one goal in mind: Provide San Antonio with a trusted resource for getting the best value… and most fun… from their pools and spas. San Antonio’s hard water is hard on equipment and many factors like leaves and runoff can affect water quality and alkalinity. Further some industry trends have been reducing the effectiveness of commonly available chemicals and reducing the lifetime of pumps and cleaners. Wondering about your water quality? At 365 Pool & Spa, you can bring a water sample in for a free computer analysis. Unfortunately, San Antonio has seen a trend where local pool and spa operators are being bought up by chains who have replaced name brand chemicals with generic chemicals produced overseas to clear a larger profit. If they were chemically identical, this wouldn’t be a problem. Unfortunately, lower quality chemicals translates to lower quality water. That means you end up buying more to do less. Besides taking better care of your water, 365 Pool & Spa also wants to help you take better care of your equipment, like pumps, heaters and cleaners. Generic replacement parts don’t always fit or wear as well as the original equipment from the manufacturers. In three decades of repair and replacement, we’ve seen it all. Bad parts can lead to inefficient performance, and even equipment failure. 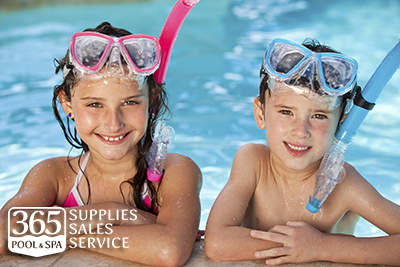 As authorized dealers for all major manufacturers, your team at 365 Pool & Spa knows which parts to recommend in which situation to prolong the life of your pool and spa equipment. We are experienced Polaris dealers. Ask us about extending your warranty at no additional cost! In San Antonio, the blistering hot summers and hard water are hard enough on our equipment, without having to suffer from inadequate water conditioning and equipment maintenance. We’d be delighted to talk to you about your pool or spa needs, and appreciate the chance to earn your business. We also carry all manner of accessories and cleaning supplies. At the end of the day, we’ve been successful by establishing long-term relationships with our clients. That means providing high quality service and products day-in-and-day-out to keep you coming back season after season. From our family to yours, we look forward to helping you enjoy the best possible outdoor living experience for you and your family. Drop by the store at 7015 Bandera Rd, contact us online, or call us today at (210) 277-8281 for fast and friendly service! We look forward to getting to know you!